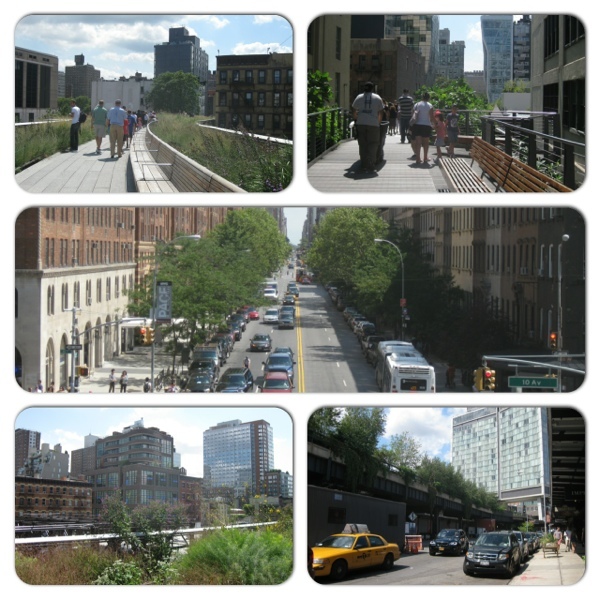 Yet another beautiful Saturday meant the chance to tick something else off the must-see list – the High Line. This beautiful park was created from the remains of an elevated railway which wends its way though a former industrial district on the west side of Manhattan. Every twist and turn brings new things to see, both in terms of the architecture visible from the walkway and the varied planting in the park itself. There is plenty of seating along the way, and regular viewpoints which encourage you to stop and take in the scenery, and judging by the number of people we passed this is a popular place to hang out. Having walked the length of the high line (around 2km at present, though I believe a northern extension is planned) we wanded around the West Village, and made our way to the fabulous Bleecker Street. This lengthy thoroughfare is packed with quirky shops, bars and restaurants, and the whole area was busy with people eating, drinking and generally enjoying the weekend. We were especially interested in Bleecker Street as it is home to two Italian restaurants, Keste and Risotteria (which turned out to be opposite one another), that both offer gluten free dishes. Risotteria was packed so we ended up in Keste, and the gf pizza there was delicious. After a post-lunch ice cream from a stand further down the street, we discovered the rather wonderful Murray’s Cheese Shop, where Tom was particularly taken by the wall of bottled beers for sale categorised according to what type of cheese they should be drunk with. This entry was posted in Exploring and tagged Murray's cheese shop, outdoors, parks, pizza, walking by Emma Davidson. Bookmark the permalink. Cheese and beer suggestions, genius! 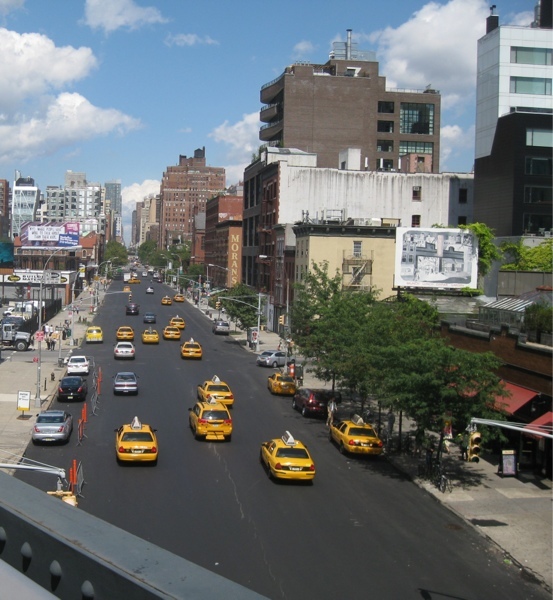 I’ve not heard of the high line before, looks great, and a good way to explore Manhattan. It was tremendous, and there was a great cheese selection to choose from too! I think the high line only opened a couple of years ago, it was recommended to us by relatives who visited NY last year and loved it. Emma – have just found your blog via @woodsiegirl and delighted to read about your NYC experience. I was in New York last month, for a SLA NY meeting, and was staying with friends near High Line so did the walk. Thought it was great, such a wonderful idea for an elevated walk area with beautiful planting. The Garden Museum in London is holding a two day symposium on the High Line in early Oct. So there will no doubt be lots of interest in UK press about it then. Thanks Kate, and that’s interesting to know about the symposium. I’m no gardener but was really struck by how attractive and interesting the planting was, and am looking forward to going back as the seasons change.